Loch Lomond is a mile deep but the woman’s body surfaced anyway. Found bludgeoned and dumped in the water, she now haunts Iain Fraser, the man who put her there. She trusted him and now that misplaced trust is gnawing through Iain’s chest. He thinks it will kill him. As tensions rise and the police seek a killer, the conflicts that lurk beneath Helensburgh’s calm waters threaten to explode. All Iain Fraser has to do is keep on lying. 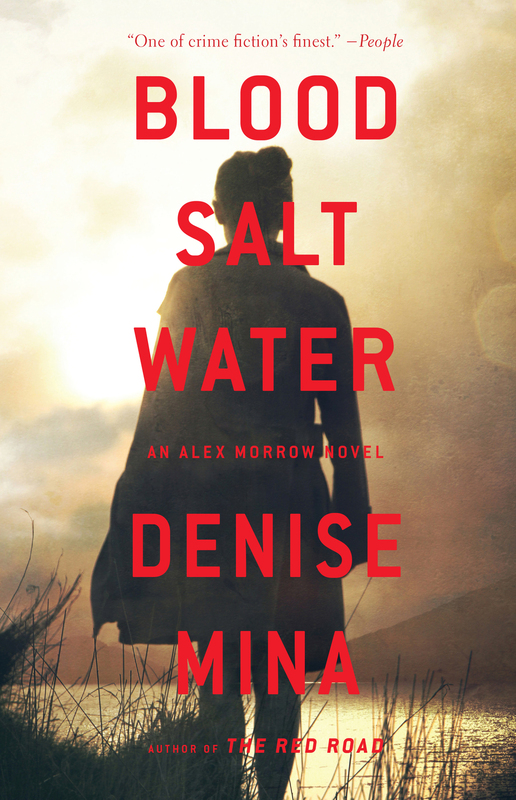 "Denise Mina has established herself as one of the most interesting and uncompromising writers in the crime genre. Blood Salt Water can only confirm her pre-eminence in the field." "The power of Mina’s writing is such that she can transport readers from placidity to violent pandemonium in the space of a paragraph." "It was an inspired idea to move this story out of Glasgow and into a small, and small-minded, seaside town. The feeling of claustrophobia and closed-in community is palpable and you can almost hear the call of the seagulls and the lap of the waves." See more readers' reviews on the GoodReads website. Denise discusses writing Blood, Salt, Water and the book's characters and themes. Denise discusses the book with Nancie Clare in this 30 minute podcast on the Speaking of Mysteries website. The title of the book was inspired by a quote by President John F Kennedy. "All of us have in our veins the exact same percentage of salt in our blood that exists in the ocean, and, therefore, we have salt in our blood, in our sweat, in our tears. We are tied to the ocean. And when we go back to the sea -- whether it is to sail or to watch it -- we are going back from whence we came." View from Helensburgh across the River Clyde with the Waverley, the world's last seagoing paddle steamer, on the water. Blood Salt Water is set in Helensburgh, a small town outside Glasgow in Scotland. John Logie Baird, the inventor of television, came from the town. Find out more about Helensburgh on Wikipedia. You can also see Denise's choice of her favourite small town noir novels on the Scottish Book Trust website.